Climate change has become one of the world's hottest topics with thousands of different news putting various processes into the climate change equation. What is actually happening to our planet, and what can we do to make climate change impact less negative? The first thing you need to know is that Earth's climate is in the constant process of change, we could even say that it has its ups and downs. Our planet's history shows us that the periods of hot and cold climate were naturally exchanging one after another, and that they have affected the entire life on our planet. In past, nature was the main regulator of our planet’s climate but in the last century humans are the main factor behind the ongoing changes in climate, primarily because of the excessive fossil fuel burning and the resulting increase in carbon dioxide (CO2) emissions. Climate change is in the current phase primarily associated with global warming. In the last 300 years average temperature on our planet has increased by approximately 0.7 degrees Celsius. In the business as usual scenario in terms of greenhouse gas emissions, temperatures will further increase, likely by more than 3 degrees Celsius by the end of this century. The climate change has many scary faces which include flooding, droughts, extreme weather events, sea level rise, and new diseases. World leaders still fail to take climate change issue seriously. 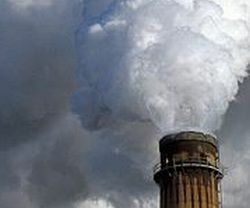 There have been plenty of talks but these talks resulted in almost nothing because greenhouse gas emissions continue to grow, and climate change is rapidly reaching the point where it will become irreversible. This may not affect our generation but our children and grandchildren are bound to pay a really high price for our mistakes. The climate change issue could well become the defining point of our entire civilization.